The Provo City Library at Academy Square has created a special collection of Brigham Young High School annual yearbooks, and to date, has one or more volumes from 1956 to the final year in 1968. The BYU Class of 1909 published the first yearbook, the "Banyan", and it included five BY High group photos, but no class list with names. From that time through 1932, the Banyans included several pages of names and photos of BYH senior classes. 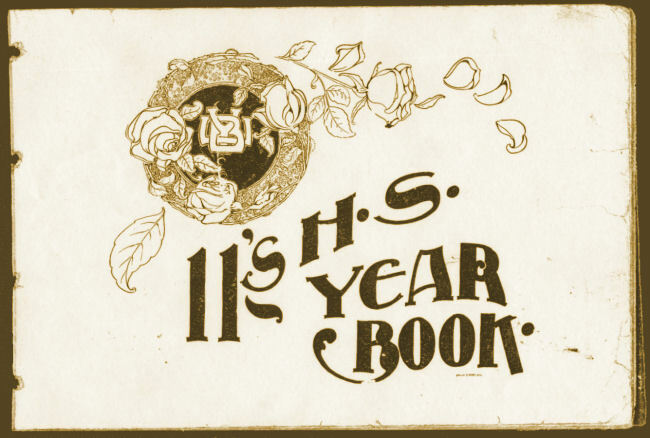 In 1911, BYH students seized the initiative and published their own elaborate yearbook, called "11's H.S. Year Book". In 1912 BYH students published a beautiful yearbook called the "Mizpah". BYH student information was included in BYU yearbooks, usually called the Banyan, until 1933, when the High School began publishing yearbooks every year up to and including 1968. In 1926 Coach Frosty Richards first dubbed BYH athletes and teams with the name "Wildcats" and the name stuck for 42 years. 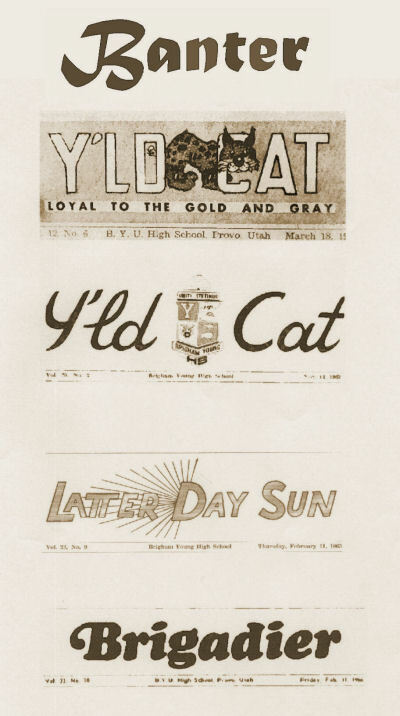 The annual yearbook was usually called the "Wildcat", and the school newspaper was usually titled the "Y'ld Cat". Sadly, the BYU Banyan in 1932 failed to print anything about BY High, and the high school apparently did not publish a yearbook that year. Historically, the BYH Class of 1932 is truly the "Lost Class of BY High". From 1933 to 1968, BY High published its traditional Wildcat yearbook. The Special Collection at the Provo City Library lacks volumes from 1911 up to and including 1955. Note: The goal of the Provo City Library collection of BYH yearbooks is to preserve two volumes, for each year. They already have one or more volumes from 1956 to 1968, so their main focus is on collecting yearbooks for years earlier than 1956. Please call 801-852-6668 before sending your books to make sure they are needed in the latest collection plan.